Summer is starting which means it is time to fire up your grills and dust off your best barbecuing recipes! Most of us love a good barbecue and most will agree that anything cooked on a grill (vegetables included) tastes great. 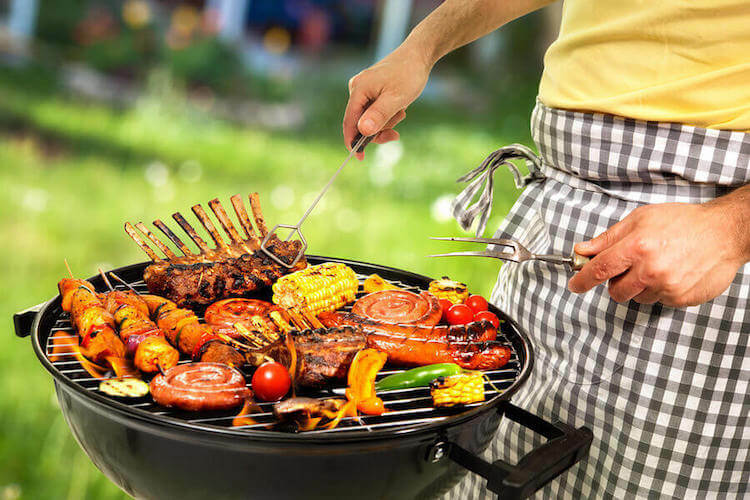 Barbecues also provide a great venue for getting to know the individuals in your group and community and giving you space to socialize together. Everyone enjoys relaxed afternoons grilling in the backyard with friends and neighbors, why not add some extra fun to the event by hosting a friendly cook off competition. Organizing a barbecue contest is a lot of fun, but it is also a lot of work. You will want to begin planning early to ensure that your event is a success. When planning a barbecue contest you will first want to decide on a theme for your cook off. If you want to keep it barbecue related, you will want to think about food items that are made on a grill- for example best burger, best ribs, or best barbecue chicken. You will want to set specific rules for the contest, like banning bottled, branded barbecue sauces. This presents an extra challenge for participants and encourages people to come up with their own unique recipes. If you have enough people, you can have competitions in different categories including different types of meats, grilled vegetable dishes, grilled appetizers, and even a category for sauces. This not only allows people with a variety of cooking skills to participate, but it ensures that you will have many different foods for your guests to enjoy. If you are banning bottled barbecue sauces, be clear about what is allowed. For example, can a sauce use another bottled, branded product for flavor, or does everything need to be done from scratch? Provide people with guidelines about things like the type of meat. If you’re holding a best steak category, for example, you may want to put some type of price limit on the type of meat so that one person doesn’t have an advantage because they bought a significantly higher quality meat compared to other competitors. These types of rules and regulations will be decided on by you. You will want advertise your event to get a good group of competitors. You can reach out to your own friends and contacts through mail or email, you can utilize social media, and you can send press releases to local newspapers to get the word out. Once you get your competitors on board, you will want to share with them any rules of the contest and details including what they need to bring, what will be supplied, and any other crucial competition information. If you are opening up the competition to the wider community rather than just a group of friends, make sure to include a registration deadline and clear registration instructions. For many, the best part of a barbecue cook off will be sampling and judging all of the different and unique dishes. You can find judges anywhere- they may be members of the organization/group hosting the contest, well known members of the community, or just your average foodie who is interested in taking part in the judging process. You will want to limit the number of judges to make sure there will be enough food and to simplify the judging process (imagine tallying 100 score cards!). Once you have judges, you can begin to plan out how you will structure the scoring of the competition. Generally, judges will be given a score card and instructions on how the judging will take place. When the judging spots fill up, you can include others as spectators who can watch the judging process and sample the food for themselves. Turning your cook off into a fundraiser is a great way to raise funds for a good cause. So how do you turn a cook off competition into a successful fundraiser? It’s really simple! Meal tickets for the general public: Sell tickets to spectators so they can enjoy the food and festivities without actually participating in the contest. Bring in vendors for a fee to sell barbecue sauces, seasonings, grilling tools, accessories and equipment. If you plan to turn your competition into a fundraiser, you will want to make sure you clearly communicate this to potential participants. Since people are paying for the event, you will also want to make sure that you are well prepared to host a successful and fun event. If you are using a public space, you will want to make sure that you are adhering to all of the rules and regulations so that your event goes off without a hitch. If you are planning a cook off of one specific type of food, you don’t want to overlook things like beverages, side dishes, and appetizers. You will also need to plan for things like cups, plates, napkins, and eating utensils. If you are hosting a fundraiser and charging for entry to the event, you will want to make sure people feel they are getting their money’s worth. Make the day enjoyable with things like live music, side competitions like various games, and a fun prize for competition winners. More grilling fun ideas. May the most talented griller win! I wanted to reach out about your article for running a barbecue contest as a fundraiser. If you want to offer them a two-fold option, this fundraising company offers barbecue sauces and spices as a product fundraiser! Empower Fundraise has three barbecue sauces and five seasonings that can be used on BBQ or on fries, chips and dips, and so much more! I’m sure they would be willing to link back to your site as well.